The electric vehicle industry has been expanding year on year but in the past 12 months there has been an explosion in E-Scooter sales across the world. This may be due to their simple functionality, time and cost saving for commuters, global awareness to use renewable energy where possible or just how fun they are to ride! Probably a mixture of all the above and much more. With an industry that is booming there are plenty of manufacturers ready to jump on board and pump out products. Some are well made with quality components, but they are lost in a sea of poorly made imitations that flood social media and the internet. 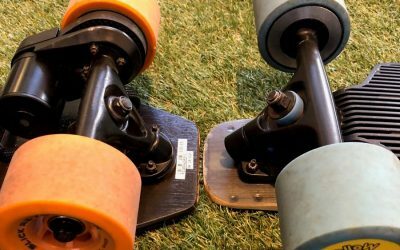 Two companies that are under the radar in comparison to the huge manufacturers like Segway, are Skotero and Orange Ventures. Skotero and Orange Ventures are both based in the Netherlands and have been supplying scooters to Europe and the rest of the world for the last few years. They have looked at all the products on the market and tried to create products that solve all their customers travel problems. Orange Ventures have developed the VEELEY which is a scooter like no other. 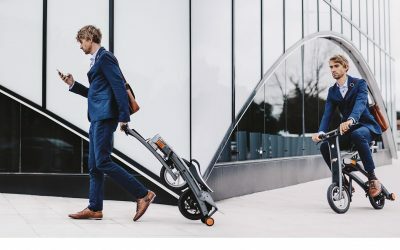 Orange Ventures have developed the VEELEY which is a scooter like no other. The VEELEY has been designed to pair beautiful aesthetics with pure comfort and rideability. It has a fold up seat for long journeys or just taking it easy and has been developed to be road legal across Europe. It is constructed from high quality components and its on board computer provides all the info you could want including a GPS for tracking. Skotero have taken a slightly different route whereby they have produced a fleet of high-quality E-scooters that offer something for everyone. 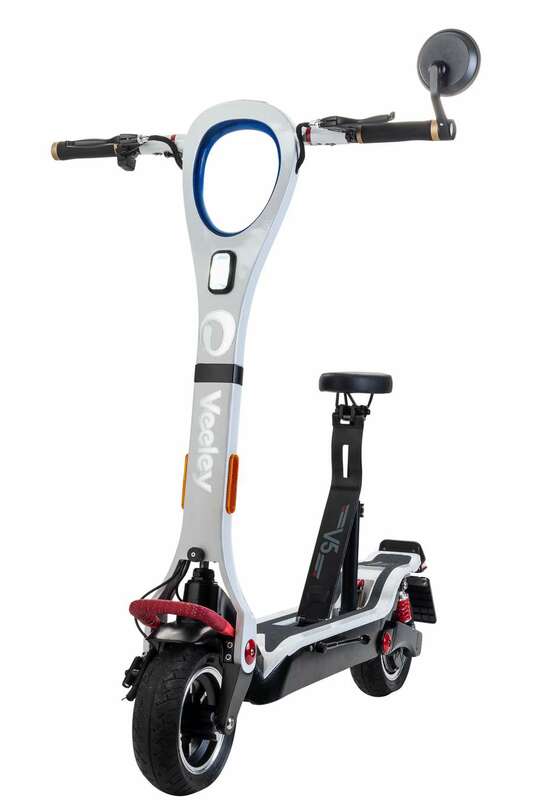 Their CURVE is an entry level scooter that is designed for relatively slow speeds and a lighter weight rider. At the other end of the spectrum they have the EXTREME which lives up to its name. It is incredibly fast with powerful acceleration, even up steep inclines. It has front and rear suspension, Led lights and large pneumatic wheels. Between the CURVE and the EXTREME are the BREEZE, HUMLEY and FORCE. They are all unique in their own way but collectively offer the same quality design and manufacturing. All of the Orange Ventures and Skotero products are available for purchase at www.rideandglide.co.uk and most are also available to demo so give us a call or stop by!